New color images from NASA's New Horizons spacecraft show two very different faces of the mysterious dwarf planet, one with a series of intriguing spots along the equator that are evenly spaced. Each of the spots is about 300 miles in diameter, with a surface area that's roughly the size of the state of Missouri. The iamge above is a NASA artist’s conception of clouds in Pluto’s atmosphere. 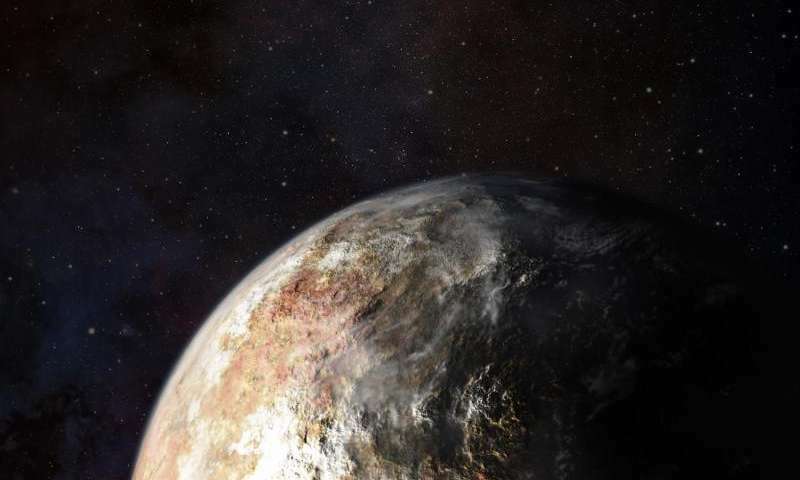 "It's a real puzzle—we don't know what the spots are, and we can't wait to find out," said New Horizons principal investigator Alan Stern of the Southwest Research Institute, Boulder. "Also puzzling is the longstanding and dramatic difference in the colors and appearance of Pluto compared to its darker and grayer moon Charon."